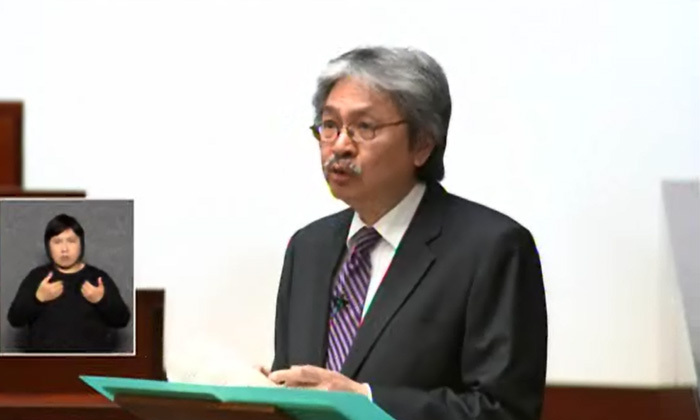 Hong Kong’s Financial Secretary, John C Tsang, is presenting the 2015-16 Budget to the Legislative Council. The announcement comes on the back of a volatile year for the state, and is expected to address key areas of business sustainability. The Financial Secretary also emphasised the development of the living environment as “vital” to citizens, announcing a range of investments for better land utilisation and increased land supply. This included the expected sale of 29 residential sites, which will in turn provide 16,000 housing units. “People are our most important asset. The government has been devoting substantial resources to improving the quality of manpower,” says Tsang. He pointed out a trend of growing demand for talent with specific skills, and announced programmes where the Government will work with various industries to provide such specific training. The skills mismatch, he says, is becoming more evident in recent years. While according priority to local labour, the government will seriously consider foreign talent only upon fulfilment of certain conditions. The financial year 2015-16 will see subsidies being extended to 1000 students per cohort to pursue designated self-financing degree programmes, worth an investment of $960 million. 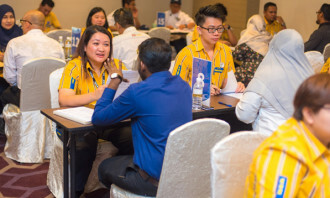 The earn-and-learn scheme was started last year for the retail industry, which allowed students to pursue coursework and employment in tandem. More young people were willing to join the construction industry, owing to greater awareness about the type of opportunities available, he noted. The financial services sector is also witnessing a keen demand for personnel. Last year, Hong Kong started providing internships across ASEAN countries for students. Tsang says the inaugural round saw 90 students able to take up the opportunity, while a total of 250 places will be available for this year. The Minister affirms focus on the four pillar industries – trading and logistics, financial services, professional and producer services, and tourism. 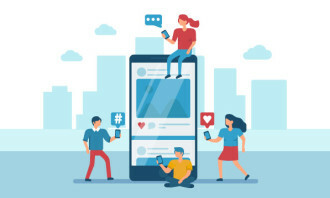 Their development will follow a two-pronged approach – first, is to captalise on the newer opportunities created on the back of investments, while the second is to move such industries up the value chain. He refers to the ongoing development of the One Belt One Road strategy, which stand for economic coopoeration corridors to promote co-development among ASEAN countries and foster coopoeration. This will be suppported in five areas, including polcies, facilities, and culture. He announces a slew of relief measures, most importantly, the reduction in salaries tax, tax under personal assessment, and profits tax by 75%, subject to a ceiling of $20,000. Child allowances have also been increased to $100,000. While the city has been a “cradle for entrepreneurship,” he hopes to strengthen this further, especially in the field of fashion and arts, with a proposed injection of $500 million towards the industry. The Financial Secretary opens the budget by stating that prolonged political bickering is detrimental to public administration, in light of the happenings of the last year. The economy in 2014-15 grew by just 2.3%, and this forecast is expected to range between 1-3% for 2015-16, he states. He announces four relief measures to stabilise the economy, and assist those sectors most affected by the Occupy protests. These include waiving of licence fees for those in the tourism and hospitality sectors, as well as an injection of HK$80 million to the Hong Kong Tourism Board. “My key mission as Financial Secretary is to maintain a stable business environment for sustainable economic development and enable citizens to live fulfilling lives, and improve their livelihood,” he says.